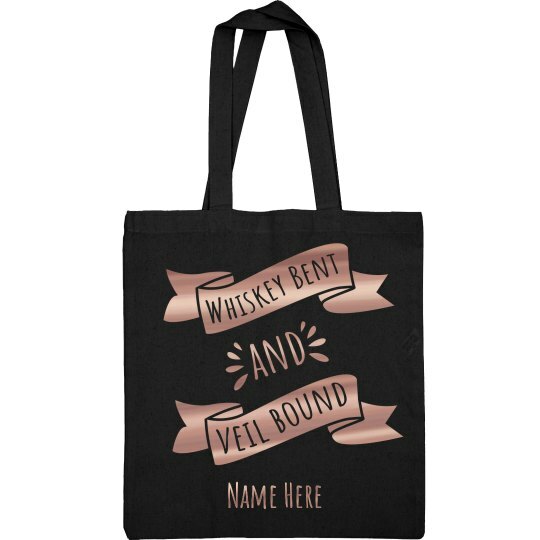 Snag this super cute and trendy, rose gold metallic tote bag for all of your favorite ladies to use at your bachelorette bash! It's time to get whiskey bent and veil bound. Personalize it with custom text to make it one of a kind!